British politician and author Benjamin Disraeli once wrote: “There can be economy only when there is efficiency.” While this statement is most definitely an exaggeration, efficiency is a very important concept in economics. if we are in a position such that a person cannot be made better off without making someone else worse off, then this position is efficient. An exchange at this point would be inefficient. if we are in a position such that a person can be made better off without making someone else worse off, then this position is inefficient. An exchange at this point would be efficient. For example, if you accidentally purchase a ­pair of shoes that do not fit you but fit your friend, and your friend buys the same pair of shoes that do not fit her but fit you – you would both be made better off by trading shoes. This would be an efficient trade. The position you were in was inefficient. In a situation where there is an opportunity for a Pareto Improvement, the opportunity should be taken advantage of. A major limitation of this metric is that it gives us no direction on the desirability of changes that make some people better off while making others worse off other than to say they are inefficient. This limitation is important. To further develop this idea, we must follow the path of Vilfredo Pareto. The term Pareto Improvement is derived from the concept of Pareto Optimality and is specific to the optimal distribution of goods within a system.. The concept was developed by Italian economist Vilfredo Federico Damaso Pareto (1848 – 1923). At the age of 21, Pareto received a doctorate in engineering from the precursor to the Polytechnic University of Turin. His engineering background shaped the way he expressed economic theory by relying on graphs, maps, and statistical analysis to prove his hypotheses. 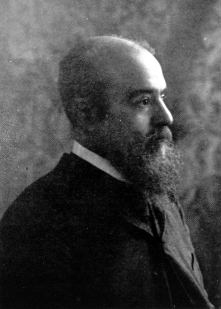 Over the years, Pareto became more disenfranchised from the Italian government, who he criticized for poorly handling labor strikes and social reforms. He believed democracy was fundamentally unsustainable and that a power elite would always rise and dominate the lower class. This interest in power laws and income distribution engaged him in political change. As it happens, Mussolini, the Italian dictator who would dominate Italian politics for many years, was inspired by Pareto’s ideas. In economics, Pareto is best known for the concept of Pareto-optimal allocation of resources, and his law of income distribution. He also did work in consumer theory to show the utility of goods need not be measured to derive results. A position such that a person cannot be made better off without making someone else worse off. A solution that is ethically or legally just and fair, but may not be wholly satisfactory to any or all the involved parties. A position in such that a person can make at least one person better off without making someone worse off. An action done in an economy that harms no one and helps at least one person. 2.1 Economic Efficiency by University of Victoria is licensed under a Creative Commons Attribution 4.0 International License, except where otherwise noted.